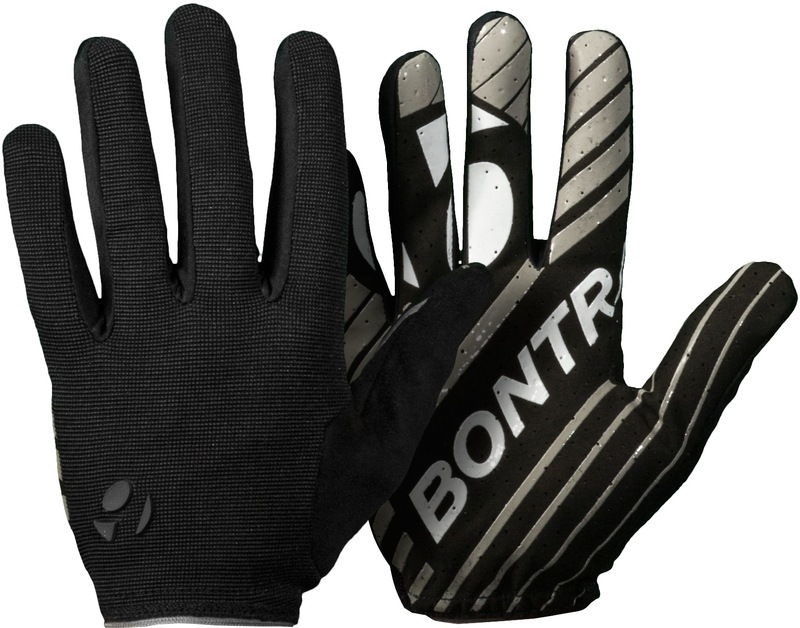 A synthetic leather palm provides great durability. A pieced palm for a no-bunch fit. 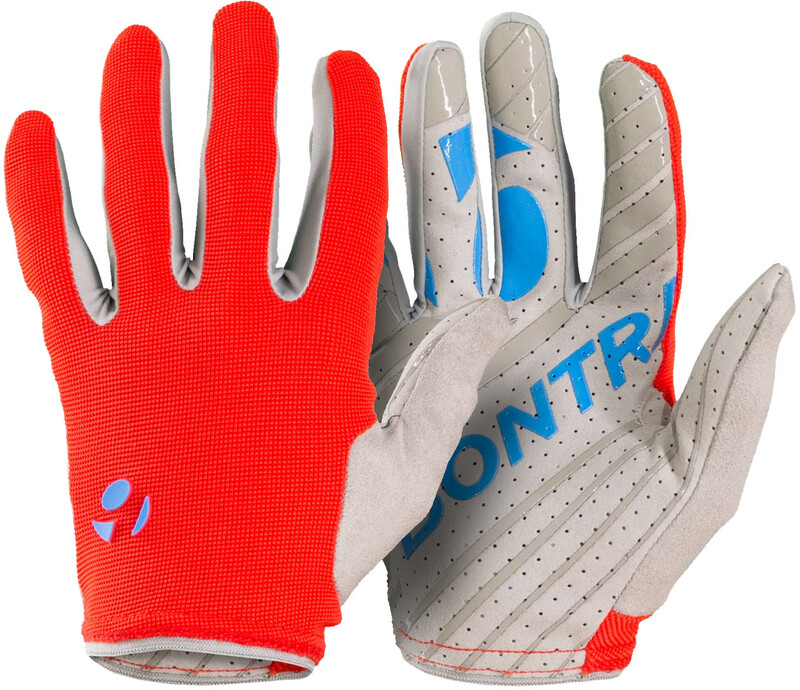 Durable back of hand materials for tree and brush strikes. Silicone finger tips for braking grip. Soft nose-wipe on palm. A minimalist wrist opening design for uncluttered and secure riding.